If you are one of the many that feel 9/11 was an inside job you are considered a conspiracy theorist by the mainstream. The trouble with the mainstream is that they are largely ignorant of facts and more so history. 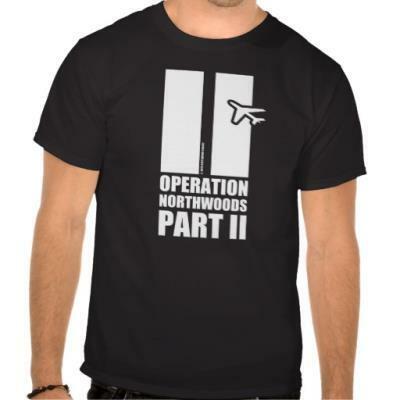 Most have never heard of Operation Northwoods because it's never been told on CNN, 60 Minutes, Fox or any mainstream media outlet. There is a reason for this - they want to keep us uneducated, people are much easier to manipulate when they are ignorant. 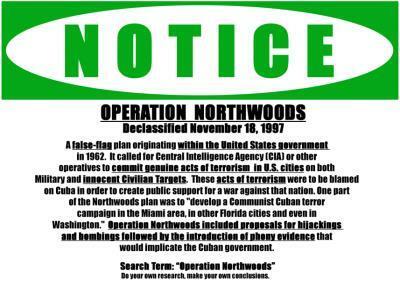 Operation Northwoods was planned secret government operation under the Kennedy Administration that was recently declassified - by accident. 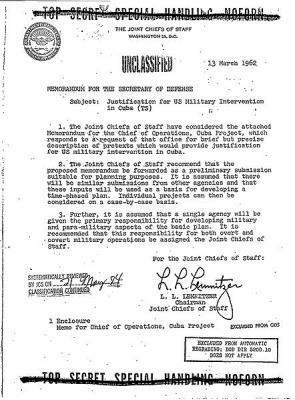 The Discovery Channel planned a series on the Cold War and requested some documents and Operation Northwoods was accidentally included in the disclosure - someones head rolled for this I am sure. The operation called for the US Gov., CIA and other agencies to commit apparent acts of terrorism on USA Cities and interests abroad and blame it on Cuba to gain public support for war with Cuba. Sound like 9/11 huh? Yes For a complete description of the operation and list of the heinous plans to kill INNOCENT CITIZENS just go to the Operation Northwoods Wikipedia page. The even more unbelievable part is that had it not been for President Kennedy (the last good president) nixing it it would have occurred. Astoundingly, it had been APPROVED by both Congress AND the US Joint Chiefs of Staff. 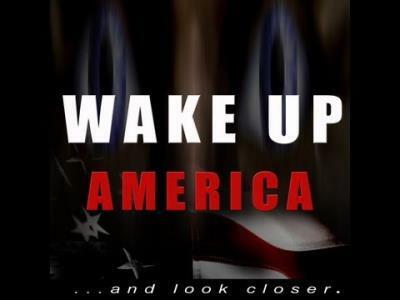 People need to wake up and realize that governments do not have their interest or well being in mind. This is why we expose the evil.